Quality improvement work in healthcare requires an understanding of not only the methodology and science of improvement but also a mastery of the concepts of change management. These “softer skills” include leadership, team building, culture, context, and patient and family engagement. Capable leaders and teams facilitate improvement by fostering a culture of improvement. By engaging patients and families, interventions and innovations can be appropriately tailored to suit individual contexts. Without the incorporation of these change management concepts, successful, sustainable quality improvement cannot be achieved. As with any field in medicine, successful quality improvement (QI) is both an art and a science. To achieve success in QI, it is necessary to not only be well-versed in QI methodology but also in the “softer skills” of change management. Just as many of the theories and methodologies of QI were developed to improve business productivity, the concept of change management was initially introduced in the corporate world. Multiple models of change management exist and have been successfully deployed in business settings. These models have been gradually adopted in healthcare [1••]. Although the models and frameworks use different terms and have varying numbers of steps necessary to successfully manage change, the underlying concepts are similar. In this chapter, we provide an overview of the main domains of change management that comprise the “softer skills” necessary in healthcare QI: leadership, team building, culture, context, and patient and family engagement. Organizational change is difficult, and changing organizational activities in an attempt to improve quality is perhaps one of the more challenging change initiatives recently introduced into the U.S. healthcare system [2•]. Organizational changes in all healthcare settings require strong leaders and a cultural context in which they can lead . Committed, competent, and passionate leadership is a sine qua non of successful transformative efforts; leadership in organizational change requires establishing and articulating a vision, building the relationships necessary to accomplish transformation, and allocating and prioritizing resources to enable change . In order to most effectively work towards the highest quality patient care, leaders need to develop a culture of process improvement if this culture does not already exist. This is true for leaders in all sectors of healthcare, including private practices, small community practices, and large academic centers. Leaders must also demonstrate disciplined use of QI methods and a long-term commitment to applying these methods . To create leaders with these characteristics requires implementation of leadership development programs designed to increase the caliber and quality of the healthcare workforce, to improve efficiency in the organization’s education and development activities, to reduce turnover and related expenses, and to focus organizational attention on specific strategic priorities related to quality, safety, and efficiency [2•, 5]. Improvements in performance require information sharing and teamwork across disciplines; team design and development, goal setting, and oversight of teamwork will be critical skills for healthcare providers of all types [3, 6••, 7•]. Other crucial skills for those leading health systems innovation include skills in operation design, financial control, negotiation and conflict resolution, innovation and performance improvement, and engaging patients and families [4, 7•]. Ideally, leadership development programs would better equip individuals to be effective leaders so that they can more effectively respond to organizational challenges, including improving quality and efficiency, in the context of limited resources and rapid change [2•]. Understanding and implementing QI is no longer limited to leaders in the field. In 2006, the American Board of Medical Specialties adopted new standards for Maintenance of Certification (MOC) that requires all physicians to demonstrate competence in the basic principles of QI . Implementing this requirement has proven challenging, and there is still no consensus on the optimal approach [8, 9]. Most specialties offer multiple pathways by which to demonstrate competence but most of these pathways focus on individual physicians’ efforts and do not easily account for team-based, multi-specialty improvement efforts [8, 9]. Integrating QI and MOC remains an area of ongoing research to achieve an ideal model. This focus on the importance of QI across all areas of healthcare underscores the need for academic health centers to create and support career pathways for health system innovators. The traditional reward system of promotion and tenure based on publications and research grant funding may pose a barrier for faculty whose work is focused on health systems change. Promotion criteria should recognize that successful health systems leaders may indeed focus their energies on changing complex systems, rather than evaluating and describing that change [10•]. More research is warranted to examine how these activities raise consciousness, engage physicians, and produce results . Having a strong, competent leader is essential, but successful, sustainable QI also requires a capable team. Building a prepared team requires time and energy to ensure that the team will deliver results in an effective manner. A prepared team is crucial to the development of a more coordinated healthcare delivery system [6••]. If a person or group does not have a clearly defined role, does not have a shared purpose, or lacks resources to complete the task at hand, the team might not work in the most productive way leading to waste and inefficiency [11•]. The “who” of the team will change depending on the project and should include members who represent key aspects of personnel involved in the project [11•]. The “what” required for a successful team could include education, time, and communication skills to be able to work effectively without barriers. The most important part of the team building process may actually be the “why” of the project. In his article, “What is value in health care,” Michael Porter proposes that having a shared goal developed by the whole team, including patients, should affect how care is ultimately delivered [12••]. In many cases, a patient or family member may fulfill both the “customer” and team member role and could be one of the most important components of a functioning team in healthcare. Unlike traditional randomized clinical trials in which the study design may be difficult to generalize to all patients in general practice, the team building approach used in QI should serve as a reproducible framework for use in other healthcare systems. Britto et al. provide an example of the importance of building the right team in their work to improve outcomes in underserved adolescents with asthma . The basis for their entire project started with a shared goal of improving care delivery for patients with asthma using the Chronic Care Model . After this shared goal was defined, the team was formed. Team members included primary stakeholders (patients and families), a coach (quality improvement consultant), physicians (content experts), a parent coordinator (who helped schedule appointments or linked community resources), and a nurse practitioner (for clinical reassessments). Team members were chosen from a variety of levels of specialty and training to work together toward a common goal, each with defined roles and responsibilities. Using this team-based QI approach, the number of patients receiving the evidence-based care bundle increased from 38% to nearly 100% and the number of patients with well-controlled asthma increased from 10 to 38% . Through this example, we can see that the resultant improvement in asthma care began with establishing team roles, having a clear purpose, and a promoting equality among all team members regardless of level of training. Organizational culture is generally perceived to be a critical factor in the relative success or failures of organizational innovation . It has been suggested that cultural change is possible only when an organization is facing imminent crisis leading to possible extinction . The current U.S. healthcare system satisfies this requirement well. The shortage of quality in healthcare today is pervasive and threatens the very safety of its consumers, making it an optimal candidate for the study of cultural transformation. The National Health Service in the UK states that improvement strategies must be underpinned by “a culture that values lifelong learning and recognizes the key part it plays in improving quality.”  The Institute of Medicine (IOM) in the USA corroborates this position, describing the need to identify a “new moral fabric.”  The IOM report “Crossing the Quality Chasm,” establishes “new rules” in order to identify a sort of cultural destination we will work to arrive at through QI initiatives [6••, 17, 19••]. Though the rubric of healthcare has changed, culture and QI are not new acquaintances in the healthcare system; organizational culture has been studied for more than three decades. Many national initiatives, including the National Institute for Clinical Excellence, the Commission for Health Improvement, the National Service Frameworks, and the National Performance Framework, have provided lessons on cultural transformation. Many theoretical positions on organizational culture have emerged, however, the body of knowledge on culture has not sufficiently matured and a consensus on best practices for culture change has not been reached . Underlying individual assumptions and organizational values has proved resistant to external influence, and the task of cultural transformation continues to require a sobering assessment . Despite this, cultural shifts are beginning to emerge include the centrality of patient care, a belief in evidence, and a growing willingness to examine quality issues . Shortell’s classic quality improvement framework includes the dimension of culture . Culture is defined as underlying beliefs, values, norms, and behaviors of the organization that either inhibit or support quality improvement. When a culture fosters openness, collaboration, teamwork, learning, and quality improvement initiatives are more successful . If a favorable culture for change is not present, even the best improvement efforts have small temporary effects and no lasting impact . Pathman and colleagues  nicely illustrated the importance of culture in their description of the process of knowledge translation, an area of emphasis in many quality improvement efforts. They identify four stages in an evidence-to-action cycle (awareness, agreement, adoption, and adherence) and report that decline in the adoption of evidence typically occurs at each stage. For example, a physician’s use of vaccine guidelines for acetabular pertussis dwindled from 90 % awareness to 67 % agreement, to 46 % adoption, and ultimately, to 35 % adherence . A clinician’s perception that evidence is available, applicable, and worth implementing is largely influenced by the prevailing culture in which they practice, even in the face of an otherwise compelling improvement effort. The report is corroborated in an integrated review on barriers to evidence uptake. Solomons and Spross  report that the most commonly identified barriers to evidence-based practice were lack of time and lack of autonomy to change practice, which both fall within Shortell’s dimension of “culture.” Fostering a culture to support change is mandatory for successful QI work. There are two primary ways that context must be considered in healthcare QI. There is the organizational context which is synonymous with culture (discussed above) and the context or environment, in which a particular change is being implemented. Even the best leaders of the most capable teams promoting well-tested innovations may fail if the context in which the change is to be implemented is not considered. A particular intervention or innovation is usually designed for and tested on a subset of people in a particular environment (how, who, when, where) [1••]. Evidence suggests that innovations designed for or adapted to a particular context are more likely to be successfully implemented . Contextual considerations are particularly relevant when scaling up and spreading change, and some would argue that context is the key to diffusion of change. This principal is reflected in the Model for Improvement approach in which a change is tested under varying circumstances to ensure that the change is effective under a broad range of conditions prior to attempting to spread the change . When that change is ready to be spread, rather than creating an entirely new change, the existing change should be tested and adapted to make it work in the new context [1••, 27••]. The importance of considering context is well described by Edwards and Barker in their review of the role contextual considerations played in the implementation of protocols for HIV/AIDS interventions in South Africa [27••]. The authors describe the use of two approaches to the implementation of the same set of interventions aimed at reducing mother to child transmission of HIV—a randomized cluster trial (RCT) approach and a QI approach in which each testing environment had the same objective but had the freedom to adapt the implementation and scale up strategies to fit the context. In 12 months’ time, the RCT approach was abandoned as ineffective, whereas the QI approach resulted in reduction of mother to child HIV transmission rates to less than 3 % across South Africa [27••]. The recognition that the use of a protocol that was adaptable to the needs and constraints of the individual clinics, regions, and provinces was the key to the successful implementation of this intervention across the entire country. The IOM has identified six domains of quality that we are tasked with pursing as part of the radical effort to build a health system for the twenty-first century [6••, 17]. Among these is the purview of patient-centeredness. Patient-centeredness has been defined by the IOM as the provision of care that is respectful of and responsive to individual patient preferences, needs, and values. Clinicians must ensure that patient values guide all clinical decisions. The new principles include transparency of information to enable patients to make informed decisions, ensuring that patients have unfettered access to clinical knowledge, giving patients an opportunity to exercise control over healthcare decisions, and customizing care to respond to individual patient choices and preferences. The Agency for Healthcare Research and Quality has established a Guide to Patient and Family Engagement in Hospital Quality and Safety . In it, four empirically supported strategies are identified as opportunities for patient and family engagement and partnership. They emphasize the development of patient and family advisory teams, improved communication, a care handoff that involves the patient and family, and the engagement of patients and families in the transition from hospital to home. A systematic review by Domecq and colleagues on the inclusion of patients in healthcare research identified 142 studies describing patient and family engagement practices . Although their review did not produce a consensus on the best methods for the engagement of patients and families, their work does suggest that patient and family engagement is at least a feasible practice. They caution that it should not be practiced tokenistically. Shippee and colleagues  have posited a model of healthcare that provides a patient-centered model for medical complexity. They advocate that two key patient variables must be considered in QI work: patient workload (the demands placed upon the patient) and patient capacity (their ability to handle them). In order to minimize the burden of treatment, work must be reduced and capacity must be enhanced. One approach to reduced workload that requires the co-production of care involves shared decision making and collaborative goal-setting. The use of patient decision aids for a range of preference-sensitive decisions can lead to increased knowledge, more accurate risk perceptions, a greater number of decisions consistent with patients’ values, a reduced level of internal decisional conflict for patients, and fewer patients remaining passive or undecided . Similarly, a patient-centered framework is required in order to increase patient capacity, through improvement efforts like health literacy. 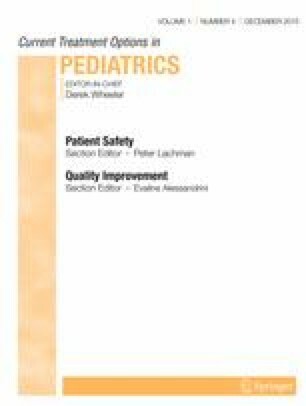 Parker and colleagues  predict that by 2030, there will be a greater percentage of patients scoring in the lowest levels of proficiency in literacy along with stagnating high school graduation rates, making the integration of health literacy in quality improvement a critical consideration. The impact of interventions on workload and capacity is complex and the way in which patients elect to mobilize and coordinate resources, improvise processes, and make them routine each impact workload/capacity imbalances. As such, a minimally disruptive healthcare system must also include the prioritization of care from a patient’s perspective . In a 1910 commencement address for Rush Medical College, W.J. Mayo stated “The best interest of the patient is the only interest to be considered. In order that the sick may have the benefit of advancing knowledge, a union of forces is necessary.” One century later, his sentiments continue to resonate. The patient and family are central to the successful healthcare system of the next 100 years. Successful QI is achieved by combining a thorough understanding of not only the methodology and science but also the “softer skills” of change management. Capable leaders and well-balanced teams must personalize and adapt their approaches to create cultures and contexts where change will flourish. Incontrovertibly, central to every test of change and innovation must be an engaged patient or family, directing the future of healthcare in the very ways that matter most. Catherine K. Hart, Jennifer Schmit, Rachel Thienprayoon, and Chelly Dykes declare that they do not have any conflicts of interest.